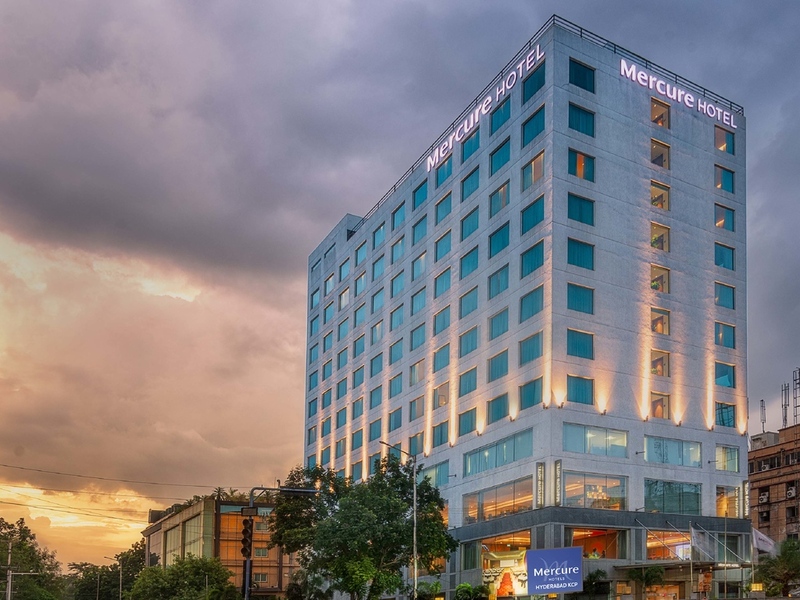 Among the most popular hotels in Banjara Hills, Mercure Hyderabad KCP is designed keeping in mind global preferences & local flavors. The hotel features 128 spacious rooms, an all-day dining restaurant, a chic bar & an upcoming rooftop restaurant. Free WIFI, free parking & rooftop gym overlooking the majestic Hussainsagar Lake further add to the charm. With relaxed ambiance, central location & modern business facilities, the hotel ranks as one of the best 4 star hotels in Hyderabad. Golconda Fort, Hussain Sagar Lake, Salar Jung Museum, Charminar are in a radius of 1.9 - 6.2 miles. Popular malls like Hyderabad Central, GVK 1 and City Centre are within 3.1 miles radius. An all accessible location makes it a popular tourist destination. Enjoy a spacious and comfortable stay with modern business and leisure amenities alongside scenic views of the city or Hussain Sagar lake. The fine dining alfresco rooftop restaurant serves gourmet cuisine. Open for dinner. The all-day dining restaurant offers international and regional specialities with a choice of a la carte as well as wide spread of buffet menu serving hot and delectable dishes round the clock. IQ Lounge Bar as its name narrates is the Impression Quotient of Mercure Hyderabad KCP. It's a contemporary and vibrant Lounge Bar at the lobby level that pampers your senses and serves a heady mix of exotic collection of beverages.